A team of researchers from the Cedars-Sinai Medical Menter, announced yesterday their findings on an experimental stem cell treatment they have been working on for heart tissue regeneration. 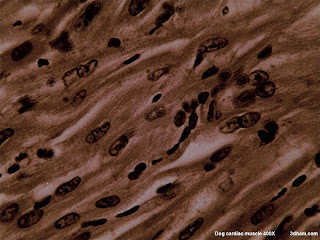 They report that their treatment induces the production of new heart muscle cells (myocardiocytes) both from already existing heart stem cells and myocardiocytes. The same researchers are also responsible for another 2012 clinical trial which showed that stem cells applied after a heart attack can reduce scarring and induce the production of new heart muscle tissue. According to Eduardo Marbán, the study's corresponding author, the treatment has an indirect effect. 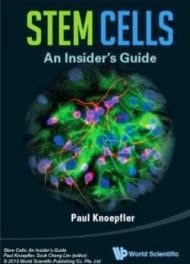 The transplanted stem cells generally don't differentiate into new muscle cells and die relatively quickly. However they do attract existing stem cells and stimulate them to differentiate into myocardiocytes, thus forming new heart tissue. According to the study, although the native heart stem cells did produce some new heart tissue, the majority of it came by proliferating cardiomyocytes. The experiments, carried out an a mouse model, showed that the newly-derived muscle tissue was healthy and fully functional. The study's findings indicate that what the treatment mainly does is to simply enhance the body's natural response to a heart attack, during which healthy unaffected heart cells produce more cells that ultimately replace the damaged/dead ones. The scientists do consider their findings to be a major step for heart tissue regeneration however they also say that more research is needed as they really don't understand the deeper mechanisms of their treatment. The study's findings are consistent with many other similar studies conducted on similar matters.